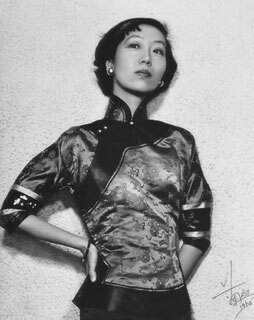 Eileen Chang, or Zhang Ailing, (Sept. 30, 1920 - Sept. 8, 1995) is a famous Chinese writer. She also used the pseudonym Liang Jing. Chang first made her literary name known in the 1940s "island"Shanghai, when it was occupied by invading Japanese forces. Her work is known for its unique feminine elegance and classic beauty. Her amazing grasp of people's psychology and her particular attitude towards life were seldom seen at the time. Her works frequently deal with the tensions in love between men and women. Born in Shanghai to a renowned family, Eileen Chang's paternal grandfather Zhang Peilun was son-in-law to Li Hongzhang, an influential Qing court official. Chang was named Zhang Ying at birth. Her family moved toTianjin in1922, where she started school at the age of four. When Chang was five, her birth mother left for Britain after her father took a concubine and became an opium addict. Although she returned four years later, following her father's promise to quit the drug and split with the concubine, a divorce could not be averted. Chang's unhappy childhood in a broken family probably gave her later works their pessimistic overtone. The family moved back to Shanghai in 1928. Two years later, Chang was renamed Eileen (her Chinese first name, Ailing, was actually a transliteration of Eileen) in preparation for her entry into the Saint Maria Girls' School. 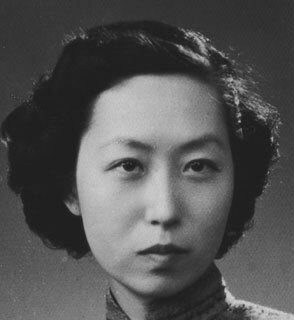 During hersecondary education, Chang was already deemed a literary genius, and her writings were published in the school magazine. In 1939, she was accepted into the University ofHong Kongto study literature. She also received a scholarship to study in the University of London, though the opportunity had to be given up when Hong Kong fell to the Japanese in 1941. Chang then returned to Shanghai. She fed herself with what she did best -- writing. It was during this period when some of her most acclaimed works, includingQing Cheng Zhi LianandJin Suo Ji, were penned.